The term gaming laptop is an oxymoron for most enthusiasts, who argue that one can easily build a much more powerful desktop for the price. However, several OEMs have begun manufacturing laptops with top-of-the-line hardware to deliver a desktop-like gaming experience. Let's have a look at some parameters to keep an eye out for while selecting a gaming laptop. The first and foremost factor is the presence of an SSD(solid state drive), which is significantly faster than traditional SATA drives and greatly enhance overall performance. The second factor is the cooling mechanism of the laptop, as effective cooling is essential so that the components don't overheat and perform below capacity(also known as thermal throttling). Last but not the least, the type of keys used in the keyboard is also a factor, as mechanical keys are more suited for gaming owing to their low response time and a more tactile feel. The most common misconception regarding a graphics card's computing power is when it is equated to the amount of video memory it has, which is equivalent to picking a car solely based on the size of its fuel tank. To determine how much VRAM you really need, you need to first decide what resolution will you be gaming at. At 1080p, most games peak out at the 1.5-2GB range, with some titles going as high as 3.5GB,1440p is slightly higher at an average of 2.5GB and 4K averages at about 4GB. Bear in mind that this varies from title to title and is only a conservative estimate. Another factor to consider while buying a gaming laptop is the screen refresh rate. Most high-end laptops come with a 144Hz panel, which allows you to get a play the game at a higher frame rate and makes for a smoother experience. It is also ideal for VR ready games when paired with compatible hardware. Heres a handy list of some of the best gaming laptops on the Indian market. The MSI Titan Pro 4k needs no introduction. Yes, you might need to sell off multiple organs to buy it, but it has the hardware to justify the exorbitant pricing. It makes short work of pretty much anything you throw at it. Don't expect to lug this around, as the 9-kilogram behemoth isn't meant for it. The primary difference between the laptop above and this one is the slightly smaller screen size, more NVMe storage and two GTX 1070s in SLI, as opposed to the single GTX 1080, which doesn't really matter when it comes to most games. The extra NVMe storage more than makes up for the lost GPU power with its blazing fast speeds. Let's get down to a laptop that does not require you to have a trust fund in your name. 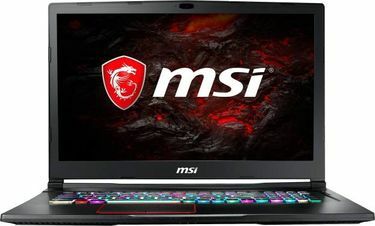 The MSI GE73VR 7RF Raider is powered by an Intel i7 processor clocked at 2.8GHz, along with 16GB RAM, 256GB of solid-state storage and a GTX 1070. It's an excellent desktop substitute and doesn't weigh a lot. Previous generation hardware, next generation performance. 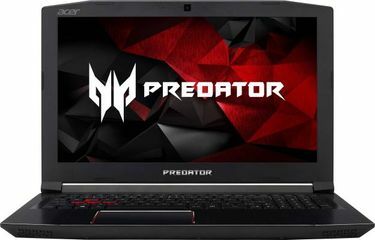 The Acer Predator G9-792 takes things down another notch, with 128GB of solid-state storage and the previous generation flagship, the GTX 980m. The graphics card is still one of the most powerful in the market and capable of handling most modern-day titles with apparent ease. The laptop, however, is a bit heavy, weighing in at about 4.2 kilograms. High-speed storage combined with entry level GPU? 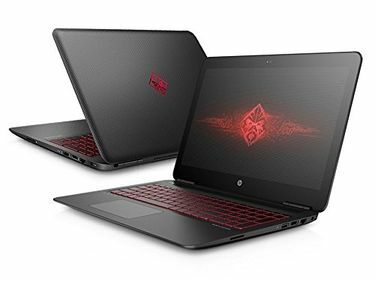 The HP Omen Gaming Laptop 15t i7-7700HQ would have been higher up on the list, had it not featured the GTX 1050, which is a mid-tier card and has been known to falter with several graphically demanding titles at high settings. The 512GB NMVe SSD is the best feature on the laptop, allowing for blazing fast data transfer. 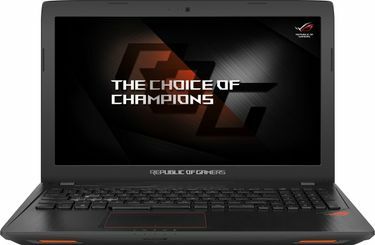 The Asus ROG GL553VE-FY168T is one of the best sub Rs. 100,00 laptops, that strike a perfect balance between price and performance. The GTX 1050TI can handle most games fine, although you might have to crank down some settings in a few titles. The 128GB SSD is ideal for installing your OS a select few games. 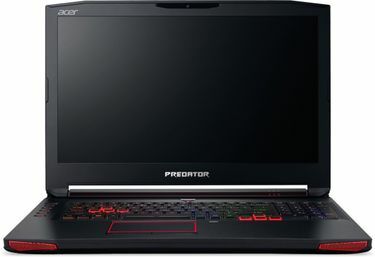 The Acer G3-572 Predator Helios is eerily identical to the Asus ROG (GL553VE-FY168T), with all specifications matching to the tee, down to the CPU clock frequency(seriously, go check it out, it's amazing). The laptop is, however, significantly cheaper and performs more or less identical to its Asus counterpart and is an excellent buy. The sub Rs. 80,000 range is considered the "budget" section of gaming laptops by many. 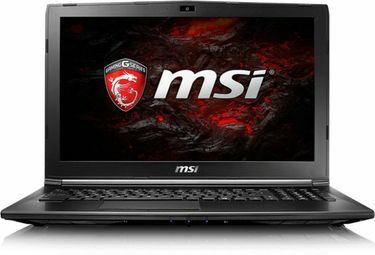 There are, however, some laptops that can still eke out some gaming prowess and the MSI GL62M 7RD is one of them. It is decently priced and allows for gaming at medium to low settings at an affordable price. 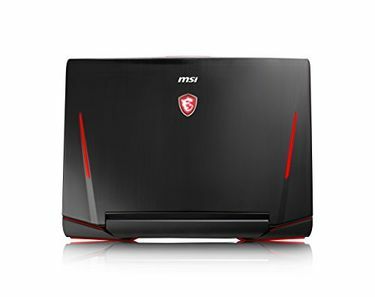 The MSI PL62 7RC Gaming Laptop is one of the most basic "gaming" laptop one can find in the Indian market. Anything beyond this point is just a laptop and don't let anyone tell you otherwise. 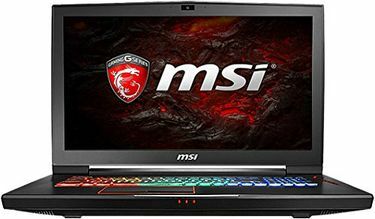 The laptop is only marginally cheaper than the MSI GL62M 7RC, with the only difference being the choice of GPU. In the GPU market, Nvidia still reigns supreme as they have a wide range of cards to choose from. Nvidia's current generation cards outperform their AMD counterparts by a significant margin, consume less power and run cooler thanks to their revolutionary Max-Q design. Intel's eight generation of CPUs, namely Coffee Lake, is also a game changer, as it brings to the mainstream several high powered quad-core CPUs, which were earlier reserved only for enthusiast grade hardware. However, if you're a Team AMD loyalist, you're in for a treat as AMD has announced the release of seven Ryzen CPUs for laptops, which are more than capable of giving their Intel counterparts a run for their money. 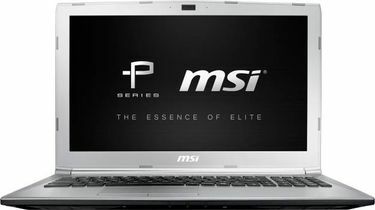 The above list should serve as an excellent guide should you want a gaming laptop, as it covers laptops from a wide range of manufacturers, spread out across various price points. All you need to do is pick one that suits your budget, and you're all set to play the latest AAA titles with most settings cranked up.